From schools, music groups to using at home this mulicolored metallophone from Gearlux is perfect to get your children excited about music, while still being fun for you. 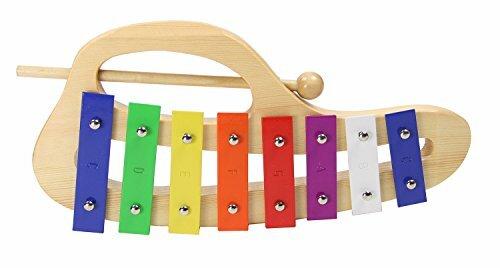 This 8 key instrument is ideal for any child over the age of 3 and with 8 notes ranging from C-C, you will be able to teach your child the basics of music. While you can rest in peace, as the pre-tuned metal keys mean that there is little to no maintenance with this musical instrument. Great for kids, schools, and music groups! If you have any questions about this product by Gearlux, contact us by completing and submitting the form below. If you are looking for a specif part number, please include it with your message.